Your couple relationship with the comparative analysis of both of your natal charts. 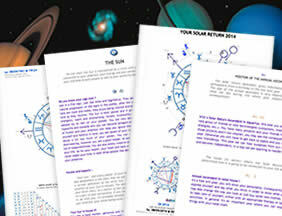 Your astrology forecasts dated from the analysis of your major planetary transits. Your annual astrology forecast based on the analysis of both your birthday and natal charts. Secured online payment with Credit cards, bank transfer and Paypal transfer.